1- 5 to 10 min. walk to Falls and attractions. 2-View of the Niagara River Gorge. 5- Free Parking and Wifi. 6- 2 min walk to WEGO bus shuttle. 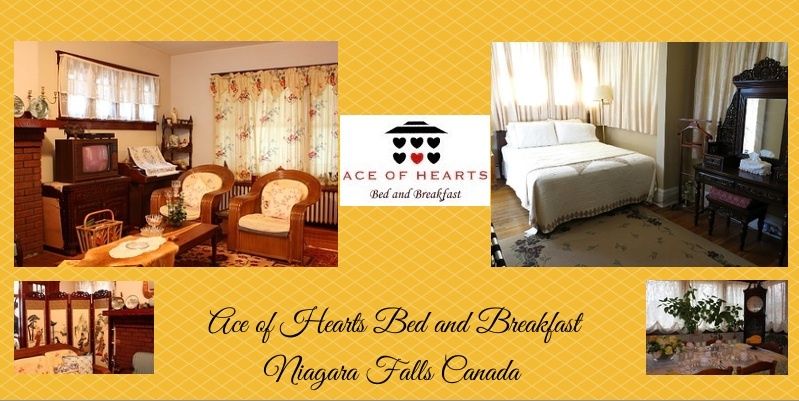 ACE OF HEARTS Bed and Breakfast was built in 1922 and is located on a beautiful scenic gorge of Niagara Falls, On., Canada. 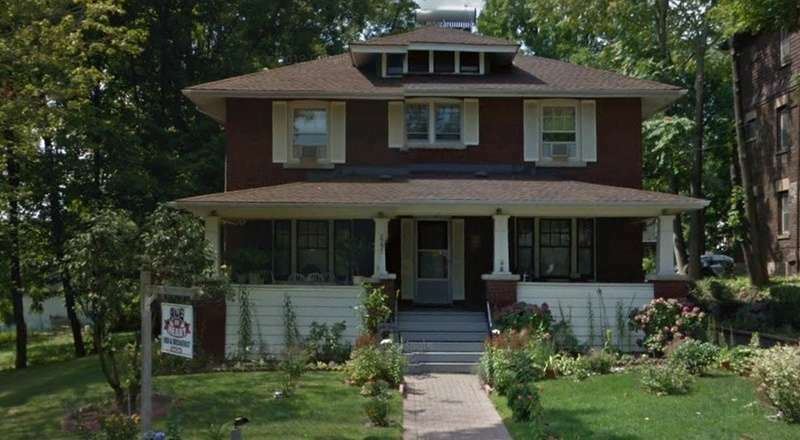 It is overlooking the Niagara River, and only a 5 or 10 minute walk from Clifton Hill. the Horseshoe Falls and Casino Niagara. It is the perfect place to stay while exploring all the Niagara Region has to offer. We are the closest Bed and Breakfast to the Tourist area. From the House you are able to view The Bridal Veil of the Falls on the United States side. Our 3 rooms include a Family Suite with jacuzzi bath and 2 double rooms with en-suite or 1 private bathroom, fireplace, cable TV & AC. Families with small children are welcome. Secure parking and WIFI are offered free. Beautiful gardens and stately trees surround the property. A full nutritious breakfast with fresh fruits is served from 8 to 10:00am. We accommodate certain diets. to ask if you have food problem.